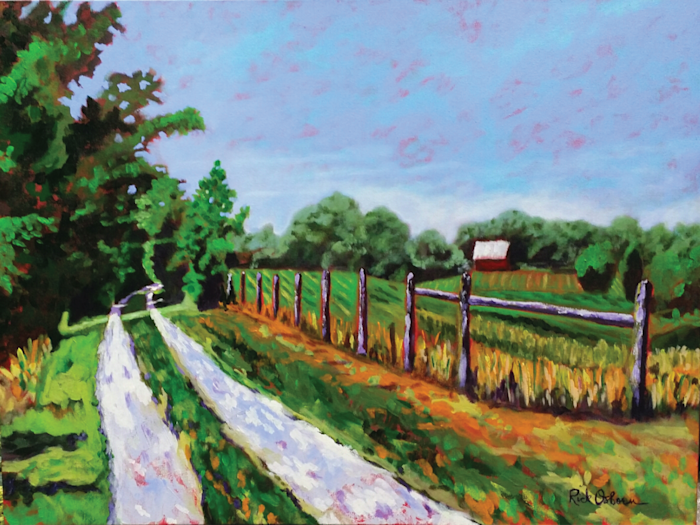 Painted from a series of photos I took in my native Farmville, VA, this painting is done on a 1.5 inch deep, gallery wrapped canvas using acrylic. This picture is very representative of rural Virginia and North Carolina. 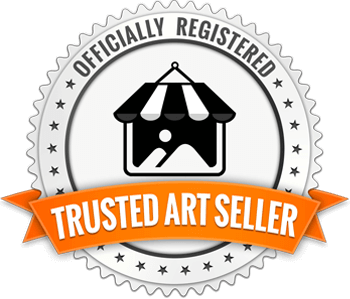 This painting is framed in a maple wood floater frame to set it off nicely on the wall. It is done with bright colors on a red underpainting.